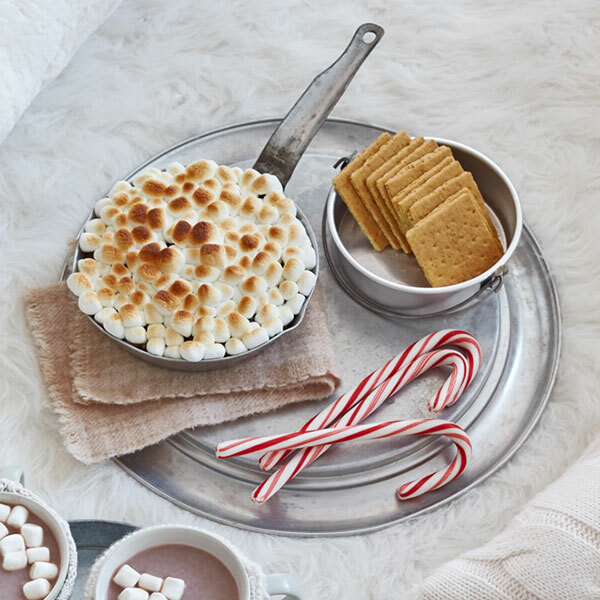 Cozy up with this deliciously gooey S'mores Dip. With our S'mores Dip recipe, you can enjoy the goodness of marshmallows, chocolate and graham crackers without the campfire! Plus, we've enhanced the flavor by using peanut butter cups instead of chocolate chips. Just another reason to stay indoors! Spread the chopped peanut butter cups and chocolate chips on the bottom of the skillet or pan. Top with mini marshmallows. Bake for 5 minutes or until the marshmallows are toasted. Serve straight from the pan (use a trivet and watch the fingers!) with graham crackers for dipping.